We have the products to save you money & keep your auto safe! 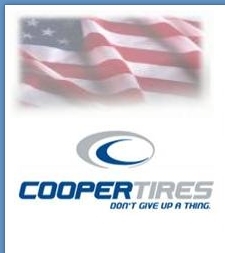 Cooper is an American owned company who produces a great product for Cars, Trucks and SUV’s. They offer premium tire lines at an affordable price that will save you money. Special Tires for Special Purposes: We stock tires for ATV’s, all kinds of Trailers, Lawn Mowers, Golf Carts and more…. BG Additives for performance and extended life.